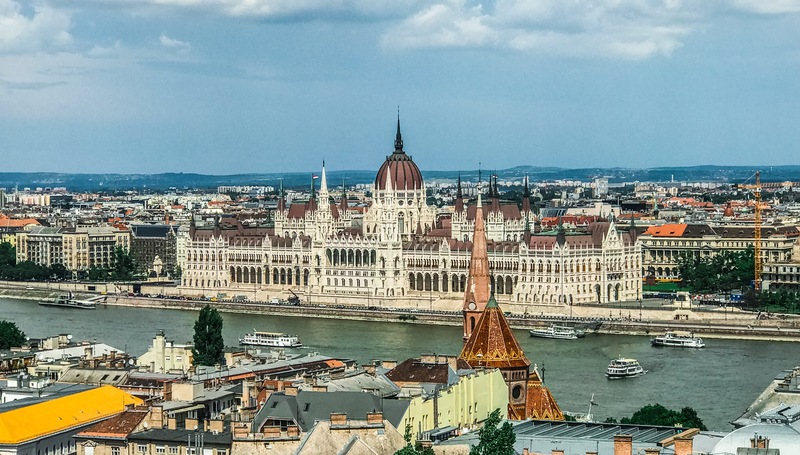 Budapest, Hungary definitely needs to be on your list of European capital cities to visit! The architecture, the food, and the people are all fantastic, and while the former socialist country’s history is filled with struggle, its rich culture and heritage are not to be dismissed lightly. As is the case with many Eastern European countries, Hungary can definitely make some improvements with regards to wheelchair accessibility. However, I was pleasantly surprised at how many places I was able to visit – some with ease and others with a bit of help. Here’s a list of some amazing wheelchair accessible things to do in Budapest. 1. Hungarian Parliament Building. The Parliament building in Budapest, a magnificent example of Neo-Gothic architecture (although displaying Renaissance and Baroque characters too), is just over 100 years old and is the third largest Parliament building in the world. The square where the Hungarian Parliament stands was named after Lajos Kossuth, a Hungarian lawyer, journalist, politician and Governor-President of Hungary in 1849. Guided tours of the Parliament are available when the National Assembly is not in session. The tour takes about 45 minutes, and is well worth the price, as it covers the main entrance stairs and hall, one of the lobbies, the old House of Lords and the Hungarian Crown Jewels. The Hungarian Crown Jewels were lost and stolen numerous times. After World War II, they were transported to Western Europe and eventually given to the American Army for safekeeping from the Soviet Union. For much of the Cold War, the Crown Jewels were held at the United States Bullion Depository (Fort Knox, Kentucky) alongside the bulk of America’s gold reserves. They were eventually returned to Hungary under the presidency of Jimmy Carter in 1978. The best way to take the tour is to buy your ticket in advance (online at www.jegymester.hu/parlament), as lines tend to be long and slow-moving and there are only a limited number of tickets available. The accessible entrance is on the north side of the building via elevator. Arrive at least 20 minutes prior to your tour so you can be escorted through security and to join the tour via wheelchair lifts and elevators. 2. St. Stephen’s Basilica. 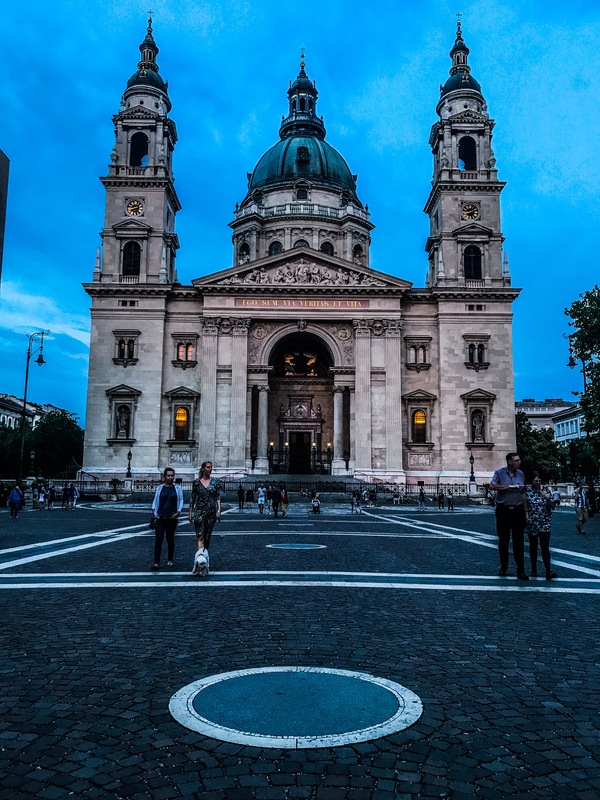 St. Stephen’s Basilica is the largest church in Budapest and can hold up to 8,500 people. Although in architectural terms it’s a cathedral, it was given the title of ‘basilica minor’ by Pope Pius XI in 1931. It took more than 50 years to build the Basilica. Originally designed in neo-classical style by Hild, the Basilica was finished in neo-renaissance style based on the plans of Ybl. The dome is 96 meters high, the exact same height as the Budapest Parliament Building. In fact current building regulations stipulate that no other structure in Budapest can be taller than 96 meters. Having the same height as the Parliament also symbolizes the balance between church and state in Hungary. The patron saint of the church is St. Stephen, the first king of Hungary. His mummified right hand is kept in a glass case in the chapel to the left of the main altar. The beautiful interior is also noteworthy as it is decorated by famous artists of the era. There’s no cost to enter the church, but there is a nominal fee of HUF 500 to go up to the observation deck. The Basilica can be accessed via elevator on the north side of the building. From there you will be escorted to another elevator to enter the main church. 3. Vaçi Utça. The ever-bustling Váci Street is the most renowned pedestrian shopping street of Budapest. 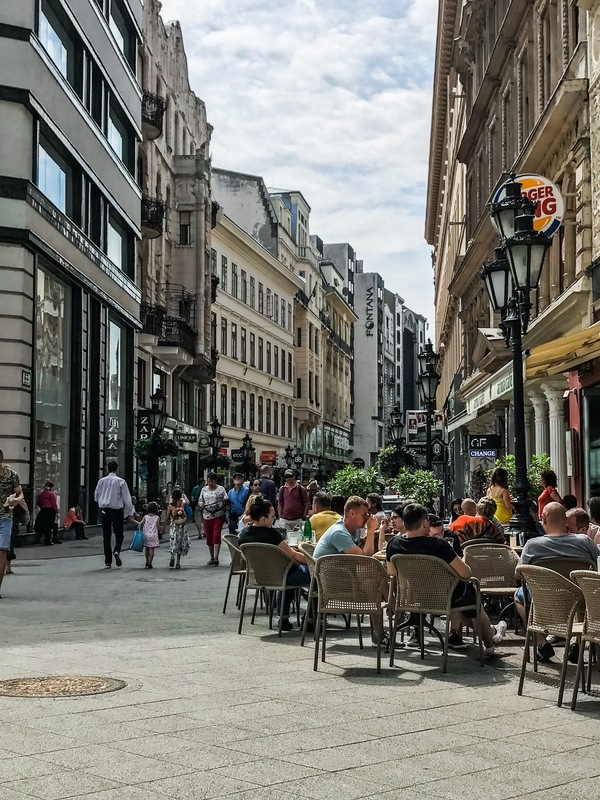 It stretches just over a mile between Vörösmarty Square and the Great Market Hall, and runs parallel to the Danube, which can be easily reached by a number of side streets. The street is lined with clothing, accessory, souvenir and gift shops, as well as a number of restaurants (some with slightly questionable reputations). Though mainly targeted at tourists, thus often overpriced, strolling Váci is still an enjoyable outing – the street alive with activity and accentuated by stunning architecture. You can start your journey from Vörösmarty Square, where you’ll find the famed Gerbaud Confectionery, or lovely Christmas markets, and continue down until you reach Liberty Bridge and the Great Market Hall – making sure to explore various little side streets along the way. 4. Castle District. 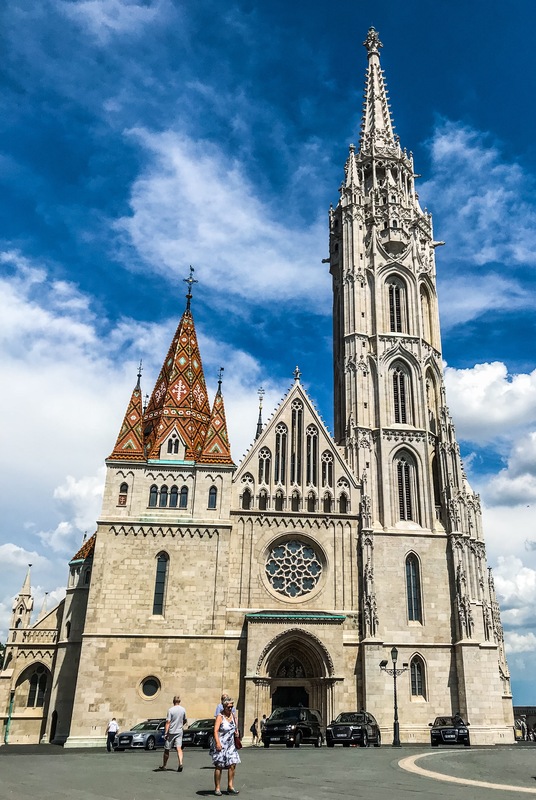 Hungary’s most historic neighborhood is the Castle District, spread across a flat hilltop in Buda and featuring numerous monumental sights that define the city skyline, like the Royal Palace, Fishermen’s Bastion, and Matthias Church. Castle Hill has been inhabited since the 13th century, when an influx of new inhabitants took to the high ground there following the Mongol attacks that devastated the population. Buda’s secure position motivated Hungary’s King Béla VI to move the capital from what’s now the regional city of Esztergom to this new site. In the centuries that followed, the district became the home of the royal court, and today you can still see the influences from the rule of King Matthias to the Habsburgs through an eclectic mix of renaissance and baroque styles. There are also traces left from the Ottoman occupation, which we can see scattered around Castle Hill. It is always pleasant to stroll around the narrow cobblestoned lanes here to discover these landmarks up-close, and during the past few months this district has become even more enjoyable as many renovations are enhancing the smaller buildings and streets all over Castle Hill, revealing many fascinating details that had previously been hidden by decay. The refurbishment of the public buildings was followed by the settlements of the streets and the development of the panoramic Tóth Árpád Promenade, among others. Some rougher cobblestones can be found in many parts, but the sidewalks are smooth with dropped curbs, and near St. Mathias Church there are flat pavements and no curbs at all. St. Mathias Church also has a new flat entryway. 5. Heroes’ Square. One of the landmarks of Budapest and the “foyer” of Városliget, the Heroes’ Square (Hősök tere) is found at the end of Andrássy út. The square was built for the millennial celebrations of 1896, to commmorate the first 1000 years of the Hungarian state. 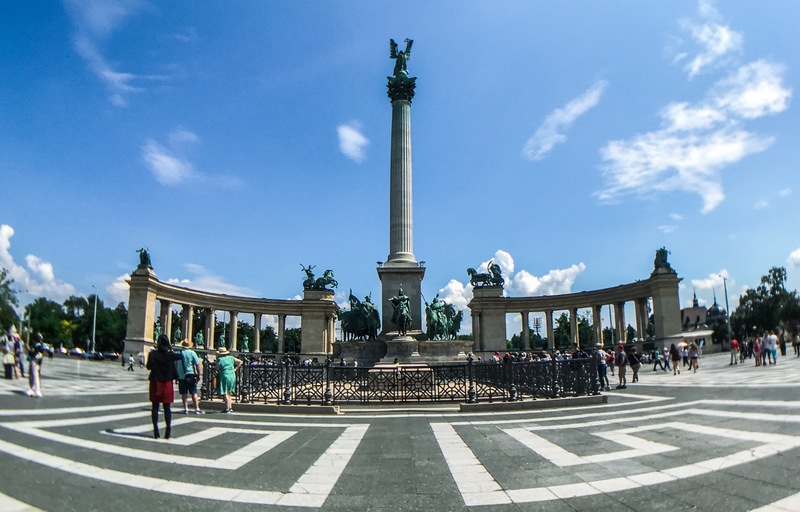 The two colonnades displaying 14 emblematic historical figures of Hungary form a semi-circle around an column, which is surrounded by the seven Magyar chieftains and topped by archangel Gabriel. The Heroes’ Square is the most distinctive and most spacious square of Budapest. The Museum of Fine Arts and the Kunsthalle (see #6) stand on its opposite sides. The square often gives place to large-scale public events and celebrations, while it is also an important tourist attraction. The Nemzeti Vágta(National Gallop) has also been held here since 2008. The entire square is covered in flat pavers, although you’ll have to roll over a small dip with a few rows of cobblestones to reach it from the surrounding streets and parking lots. 6. Kunsthalle. The Kunsthalle (Műcsarnok) by Heroes’ Square is the definitive exhibition gallery of contemporary visual arts in Hungary. Conceived on the model of German Kunsthalles, this neo-Renaissance building was erected in 1896 for the country’s Millennial celebrations. Its mission is to introduce and promote Hungarian and international visual arts trends and phenomena, being at the same time a source of inspiration to artists. Besides the exhibition area, they also organize several temporary exhibitions at the Műcsarnok#Box, and hold many exciting cultural programs. The museum also houses a cozy café on the ground floor, which moves to the terrace beside the entrance in the summer, providing a perfect view to Heroes Square. The Kunsthalle is wheelchair accessible, and wheelchair users and their caregivers get free admission. 7. Széchenyi Thermal Bath. Széchenyi Thermal Bath is o­ne of the largest spa complexes in Europe. Its outdoor pool with the steam rising from its surface on winter nights and the complacent elderly men playing chess in the water is a world famous symbol of Budapest. The bath in Városliget was built in neo-Baroque style at the beginning of the 20th century. 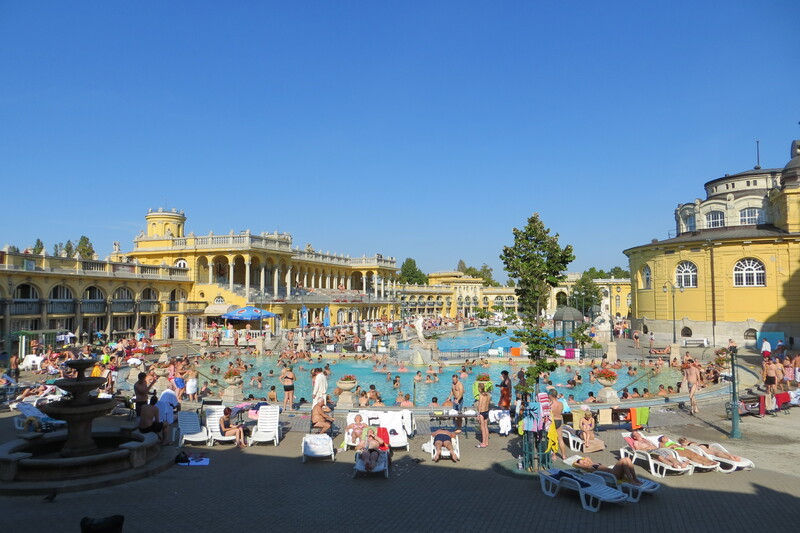 The Széchenyi is the most popular bath among locals thanks it its size and wide range of services. Numerous indoor and outdoor pools, a thermal and a wellness department (steam room, sauna etc. ), medical care, therapies. fitness and miscellaneous services guarantee the perfect visit. The open-air pool is open in the winter as well, so you can enjoy its hot water even if its -10°C outside. The bath is increasingly popular among foreigners as well – a visit here is a solid point on your Budapest schedule both in summer and winter. Széchenyi has a wheelchair lift to enter the building, as well as accessible bathrooms and pool lifts. 8. Budapest Zoo and Botanical Garden. The Budapest Zoo & Botanical Gardens is one of the oldest zoos in the world, having been open to the public since 1866. The Budapest Zoo is home to a number of noteworthy Art Nouveau buildings: the main entrance, the Elephant House, the Bird House and the Palm House. Kids will enjoy the ‘Kindergarten’, where various baby animals can be seen together in one area. The Budapest Zoo always provides a great experience as it’s more like being in a botanical garden with animals. As the zoo is home to about 773 species of amazing animals, it is recommended to spend a whole afternoon here. Anyone with physical problems can access the zoo, where the paths are suitable for rolling, and the park also has accessible bathrooms. On Wednesday evenings during the summer, the zoo features free concerts for zoo guests. 9. House of Terror Museum. The House of Terror (Terror Háza) is a museum and a monument at 60 Andrássy Avenue, at the former headquarters of the communist secret police (ÁVH). 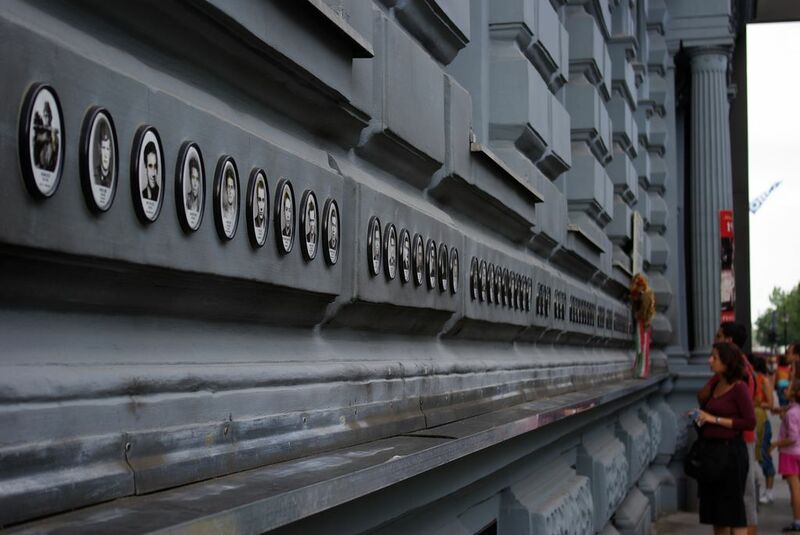 Its exhibitions commemorate the victims of the fascist and communist regimes of Hungary in the 20th century, including those detained, interrogated, tortured or killed in the building. The permanent exhibition portrays the country’s relationship with the Nazi Germany and the Soviet Union during the years of occupation and suppression by those powers. It also introduces Hungarian organizations, such as the fascist Arrow Cross Party and the ÁVH, a communist secret police similar to KGB. This shocking exhibition helps to understand these periods of Hungarian history better. The museum is very wheelchair friendly and has an accessible bathroom on each level. However, the wheelchair lift to enter the museum is not long, and may not accommodate wheelchairs or scooters longer than 90 cm. Please contact the museum prior to your visit to make sure your wheelchair will fit. 10. Hungarian National Gallery. 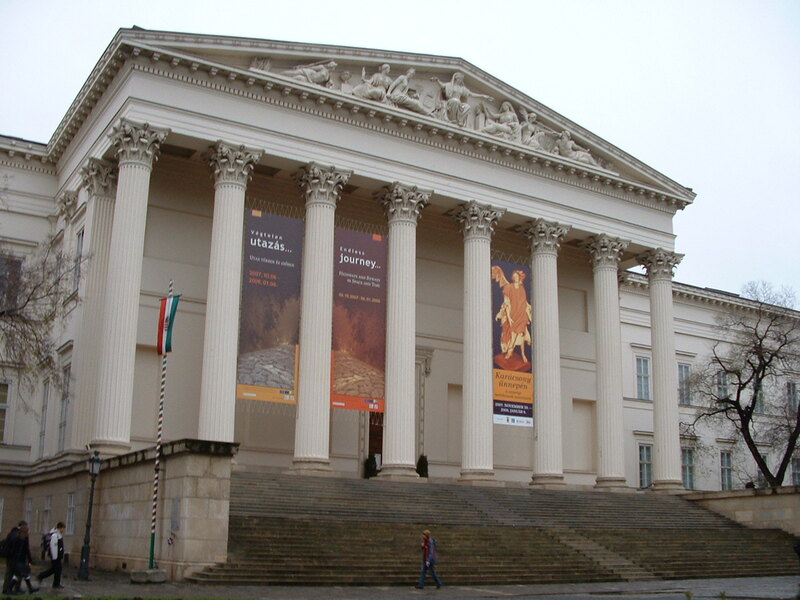 The Hungarian National Gallery (Magyar Nemzeti Galéria) is the largest public collection documenting and presenting the rise and development of the fine arts in Hungary. 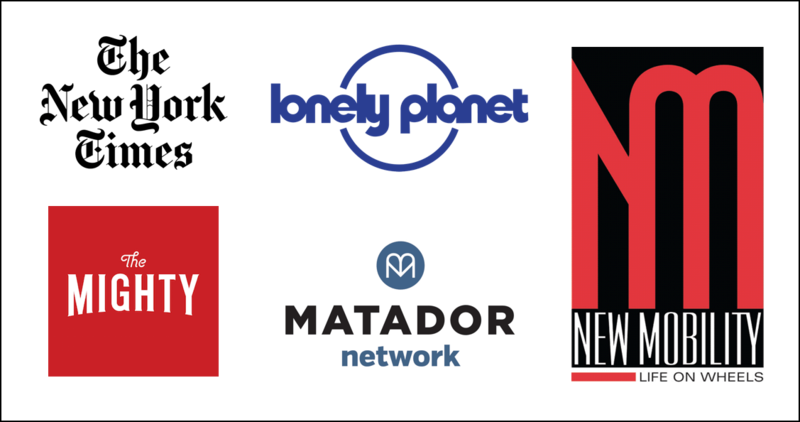 It has operated as an independent institution since 1957. 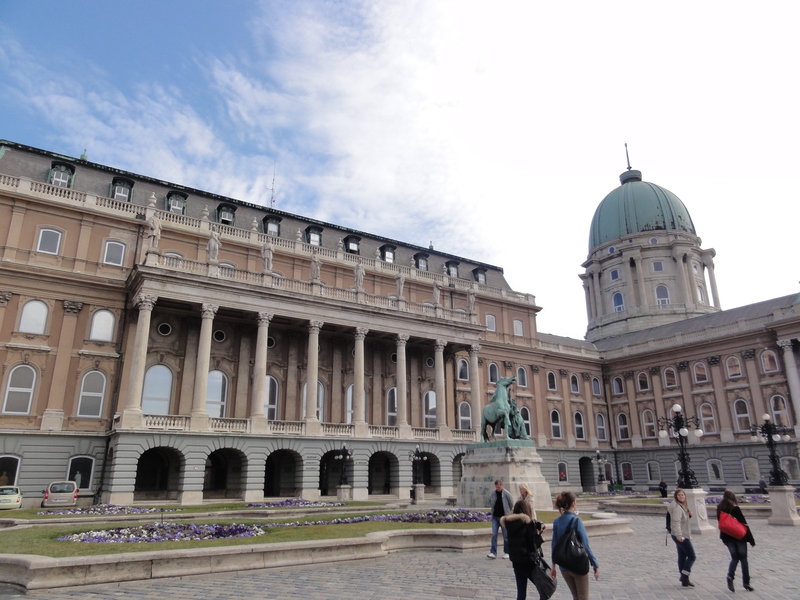 The HNG moved to its present location, the former Royal Palace in the Buda Castle, in 1975. Its permanent exhibitions are: medieval and renaissance stone carvings, panel paintings and wooden sculptures from the gothic period, 19th century paintings and sculptures, the art of Mihály Munkácsy and László Paál, 20th century art before and after 1945. If you only have time for one museum, the National Gallery is the ideal choice in an ideal location. The gallery is quite accessible, although you’ll have to deal with some cobblestones to reach it. Accessible tours are available in the Permanent Collection as well as the Temporary Exhibitions. However, there is also the possibility for specially tailored tours; focusing on a certain theme. They pay special attention when welcoming our visitors with disabilities considering the space needed for wheel chairs and calculating in the time necessary to use the elevators. Thus the only divergence from an average tour is the lowering of the number of the maximum participating people and the increase of the time devoted to the group. Entrance for wheelchair users and their caregivers is free. 11. Hungarian National Museum. The Hungarian National Museum (Magyar Nemzeti Múzeum) standing in Kiskörút is thelargest museum of Hungary. It is a building ofunique beauty, which introduces Hungarian culture and history in approx. 8000 square metres. Throughout the 200+ years since its foundation, the museum has collected a huge amount of artifacts, archaeological, historical, and ethnical relics, which bring closer thehistory of the people of the Carpathian Basin. The museum has also hosted temporary exhibitions, like the Robert Capa or the press photo exhibition. The museum paints a realistic picture of Hungarian history, with all its grief and joy, thus it is an important and educational point of interest. 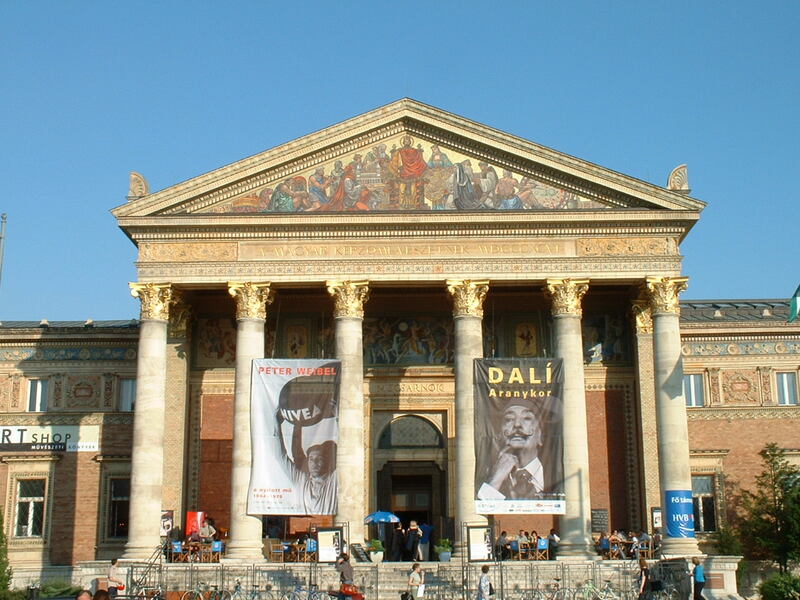 The Hungarian National Museum is a must-see for both locals and foreigners. Visitors with limited mobility can enter the Museum building by way of the staff entrance on its Bródy Sándor utca side, where volunteer staff will help them to orient themselves in the building and to move around inside it. Lavatory and baby-changing facilities designed for people with limited mobility are available inside the building. For further information or help, please phone their Information Service at (+36-1) 327-7773. 12. Budapest City Park (Városliget). One of the first public parks of the world, Városliget (also referred to as City Park) was the central venue of the millennial celebrations of 1896. Contrary to beliefs, it is not the largest park in Budapest (the title goes to Népliget), but it is certainly the most lovable one, because it is family-, sports-, and pet friendly. Now there is also a bird-watching educational path and garden found here, where you can occasionally even spot the little residents of Városliget near their nests and feeders. The renaissance theater-like building of Széchenyi Bath is the perfect destination if you want to spend the day in thermal water, while the Zoo and the Circus both await children with various exciting programs. The pond is even turned into an ice-rink in the winter. Vajdahunyad Castle (Vajdahunyad vára), located inside the park, was built in Városliget in 1908. Based on a Transylvanian gothic castle, the building was designed by Ignác Alpár for the millennial celebrations of 1896 with the goal of embodying the first 1000 years of Hungarian architecture. 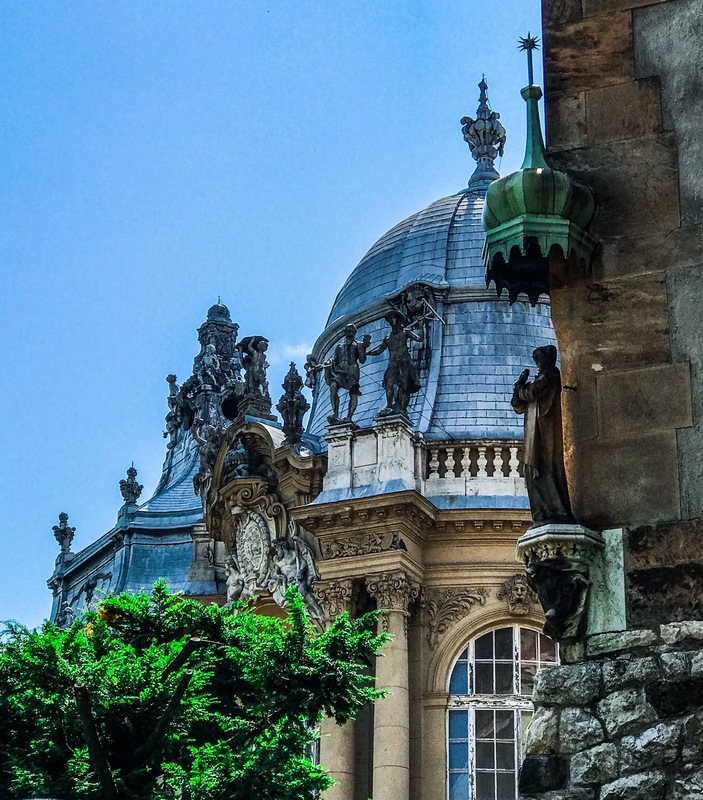 Thus, Vajdahunyad Castle blends a a variety of styles from Roman, through gothic and renaissance to baroque. Originally, it was a temporary construction of wood, but it was so popular that it was rebuilt of stone and brick by 1908. The castle today is home to the Museum of Agriculture. This is perhaps the most eminent piece of romantic historicism in Hungary and it was placed under protection in 1991. The building stands on an artificial island in Városligeti-tó and is accessible through four bridges. The statue of Anonymus sits in its interior courtyard. Are you ready for a wheelchair accessible Hungarian adventure in Budapest and beyond? 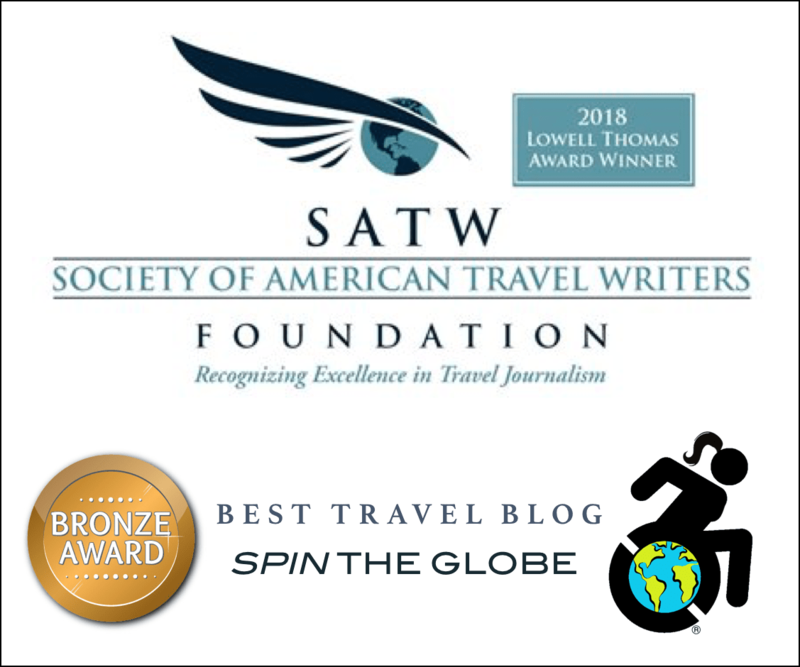 Contact me at Spin the Globe/Travel so I can help you start planning! Which museums, tourist attractions and shops in Budapest can borrow a wheelchair to the customer with reduced mobility? The best thing to do is to visit each attraction’s website (which I believe I linked to), or email to inquire. What is best part of Budapest to stay in ? It’s best to stay central so you can roll to all the major sites. I stayed close to the Vaci Utca at the Kempinski hotel.